Alina is amazing at what she does, a true professional. She is honest and gives actual results. She will let you know everything she is doing beforehand and goes above and beyond to make you feel very comfortable. Her office is clean, sanitary and relaxing. Alina is a pleasure to be around. Ive been to many different places before meeting Alina and I haven't had half of the results as Alina gave me. Thank You Alina for not only removing all my unwanted hair, but also giving me the confidence that comes with it. Guys, do not go anywhere but to Alina! You will not regret it. Laser hair removal it's amazing! No more bumps after shaving or waxing no more ingrown. After laser my skin so soft and silky, beautiful n so smooth. I love it. 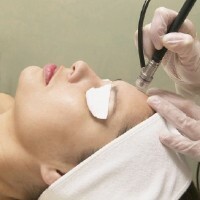 I have had various treatments with Alina from Alina's Laser Spa and I have found the treatments excellent. Alina is a highly skilled therapist. The surroundings are very relaxing, it reminds me of my own personal retreat, where I can enjoy being pampered. Being a mom of two young children I can relax and enjoy the treatments and it helps me to recharge ready to face the world again. Guys if u ready to forget about shaving & waxing come to Alina's! U will be very satisfied! The best spa salon that i been in Queens. Very clean, private comfortable atmosphere, not painful and very professional. Alina was extremely kind and answered all my questions. Very nice professional esthetician and lazer technician! I felt very comfortable from a very first time; Moreover, she provided clear information about the treatment and took her time to answer all questions. Clean office. Im really happy I went to her. I took my luck as I was just walk in(i saw her ad on the door) .I got great deal as well as great result! Location was very convenient for me , and she can adapt her schedule according to your need. Also amazing truly European style facial, deep cleaning, cant even compare with beauty salons facials all over NY. Overall, Alina was always polite, friendly and professional. I'm very happy that I met Alina last year, with her very professional help I forgot about the hairs (in the spots where i don't want them to be). And the best part is that the only thing that is required from me is to visit Alina once in a while. I love my silky skin!!! It is always a big pleasure to visit Alina. Would recommend laser hair removal with Alina to all my friends!!! Hey Alina! Just wanted to thank you so much for making my laser hair removal experience the best one I ever had! And for anyone that is interested in getting this procedure done, Alina is very quick and thorough, which helped me relax during the entire process. She sits and explains everything that is entailed in hair removal and answered all of my questions. Plus, her price beats all I the industry! I just finished this past weekend and I forgot what the definition of shaving is for the past 6 months already. I highly recommend her! I've tried several laser technicians and no one has been as gentle and patient as Alina. I've had routine sessions for a little over a year now and I'm so happy with the results. I haven't used a razor in a year. Feel so good to not have to shave at all and always be beach-ready. I would definitely recommend Alina. The price is great and so is the service!! Also, she gives awesome facials!! Alina!! Im soo glad i found u to get my laser done... It my first 2 treatments with u and amazingly i already barely see hair! It was awesome. I had a great time with u and cant wait to continue the treatments :) oh and thank god i got the facial i love it my face is so much brighter! That was a great deal u had....btw loveee ur office! © alina's 2012. All rights reserved.